It is not unsurprising that every potential smartphone manufacturer has eye on the rapidly growing smartphone market of China. Microsoft intentions are no different with their Windows Phone. There are reports that the tech giant is eyeing Chinese market to promote its Windows Phone which has support for native language as well. Chinese website QQ reports while citing “Yangtze River Daily News” that Microsoft has already chosen a partner to sell its Windows 8 and Windows Phone 7 in the Chinese market. The potential partner is named ‘Sunnig’ which has around 700 stores in China, ideal for Microsoft’s Windows Phone to reach huge number of customers instantly. 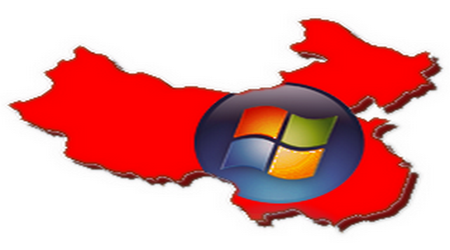 Suning is assumed to play a key role in the distribution of Windows 8 as well. According to reports, Windows Phone 7 is scheduled for 2012 together with Windows 8. However, the exact time and month is yet not disclosed by the company. It seems that Microsoft is yet not prepared to jump into the world’s largest smartphone market and wants to make entry with all necessary preparation. Penn-Olson reports that Suning is not only a big electronic retailer in the country, but also preparing to enter in the e-commerce business as well. There is no doubt that China is a potential smartphone market for smartphone manufacturers. Now it all depends on Microsoft what approach it will use to strengthen its relationship with the country’s telecom regulators. If the company succeeds in building a strong bonding with locals, it would have been a massive achievement for the company. Compared to Microsoft’s Windows Phone 6.x, the recent update proved to be a great success for the company. However, the sales are yet not reached to the level where it could be considered as a major competitor, but Microsoft is confident about the future of its product. Introduction of Mango has opened new doors for Windows Phone. The latest Mango is released several significant features of which total language support is worth mentioning. Now the future of Windows Phone 7 in the Chinese market largely depends upon the nature of partnership between Microsoft and Suning.